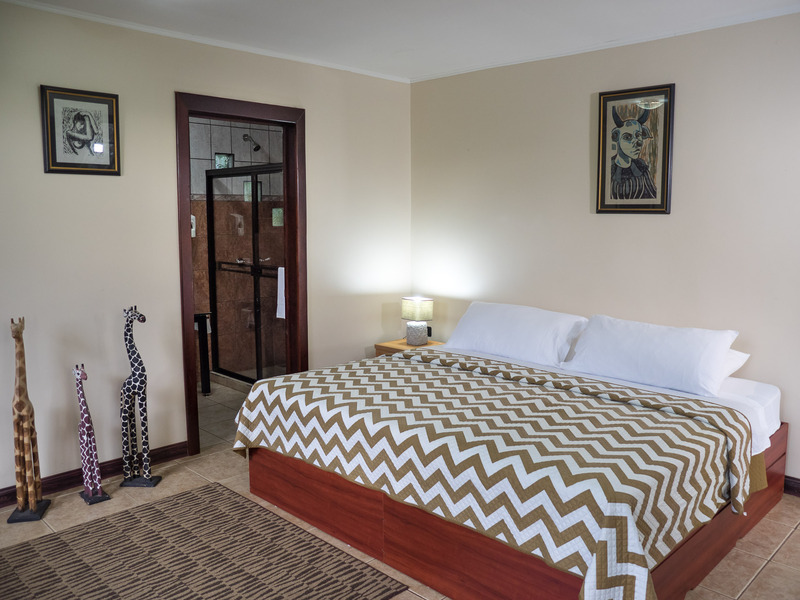 The Safari room is called this way because of the large number of birds that can be spotted from the balcony and also the decoration resembles a safari color theme and my wife has a set of African giraffe statues that ended up giving it the name safari room. 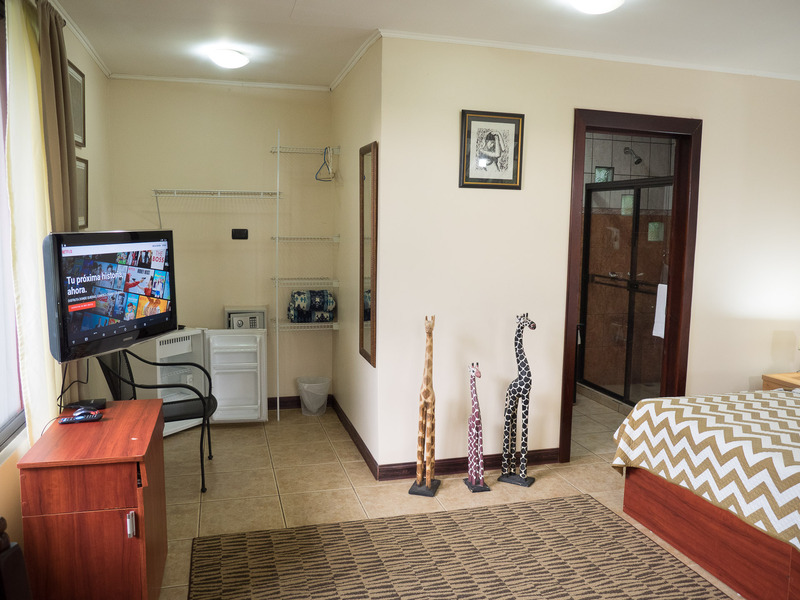 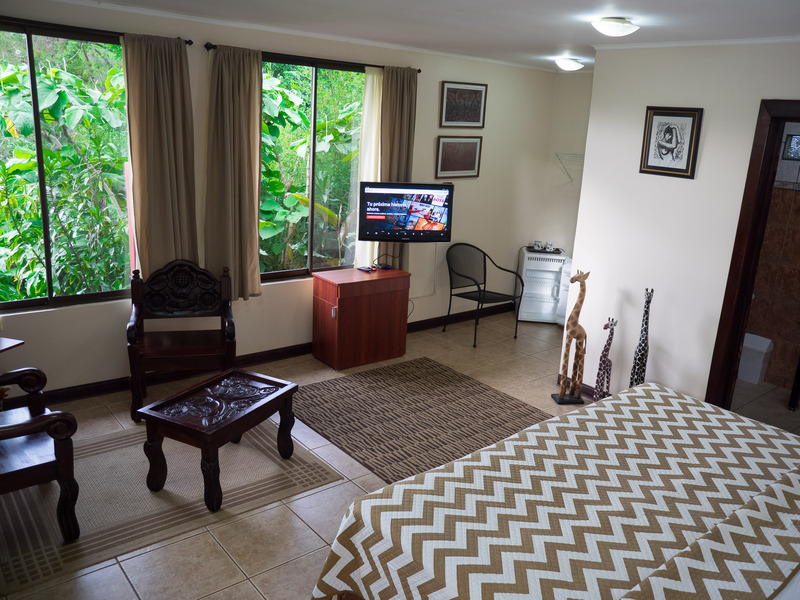 The Safari room is a double room equipped with a king size bed, located on the second floor it has a balcony with a view of some of the tree canopy making this room great for birdwatching. 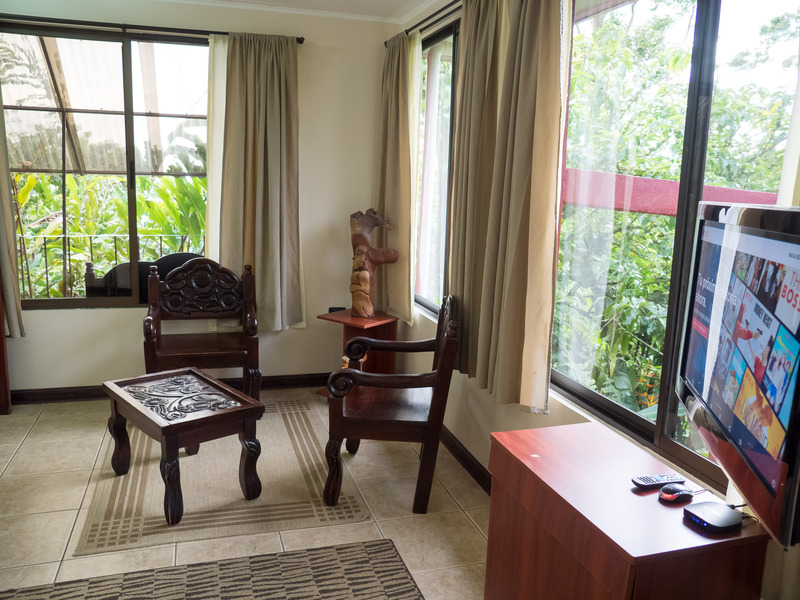 This room is quite wanted by honeymooners its defiantly the room with the most ample view of the near by mountains.